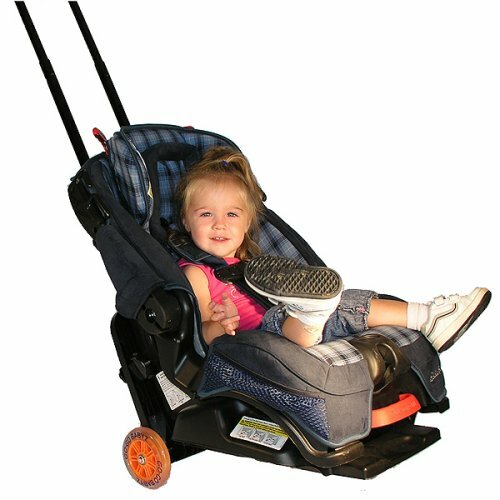 How It WorksThe Go-Go Kidz TravelMate quickly and easily attaches to most convertible or toddler car seats. It has 5-inch wheels and a telescopic handle for easily wheeling your child in his or her car seat. Since the FAA strongly recommends that children under 40 pounds use a car seat for air travel, the TravelMate saves you the hassle of hauling your car seat -- and your active toddler, plus all your gear -- through the airport. 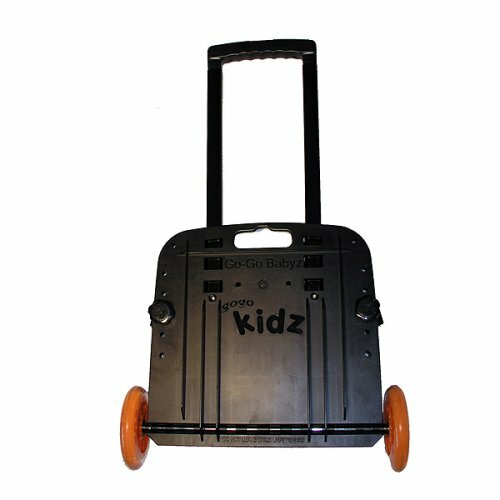 The TravelMate's wheels detach easily for passing through airport security X-ray machines. The handle features four-position adjustability, ranging from 28 inches to 50-1/2 inches for maximum versatility. And at only five pounds, the TravelMate won't bog you down if you're trying to travel light. In fact, it makes a compact package: it folds flat for easy storage, measuring just 28 x 17 x 5 inches (H x L x W) when closed and 50-1/2 x 17 x 5 inches (H x L x W) when open.